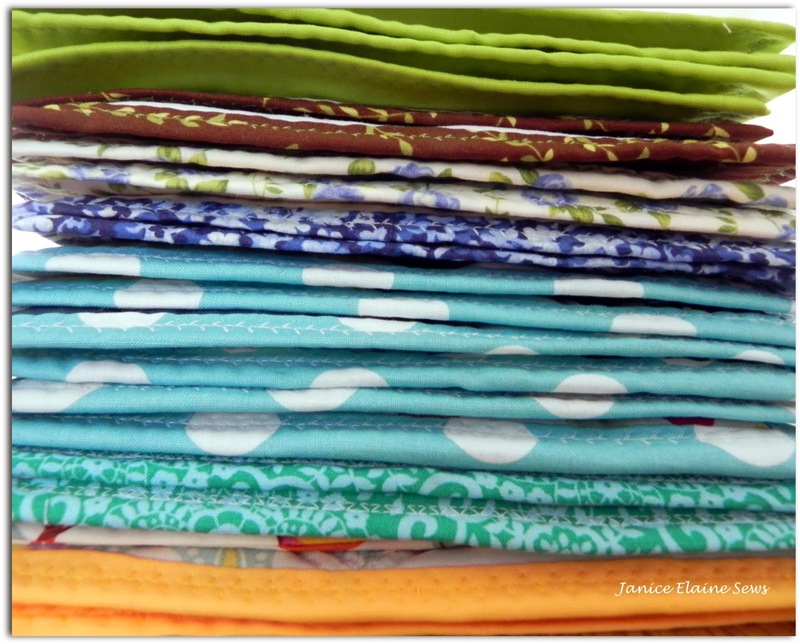 Janice Elaine Sews: I've been busy! I've been busy, making potholders out of scrappy and/or orphan blocks. 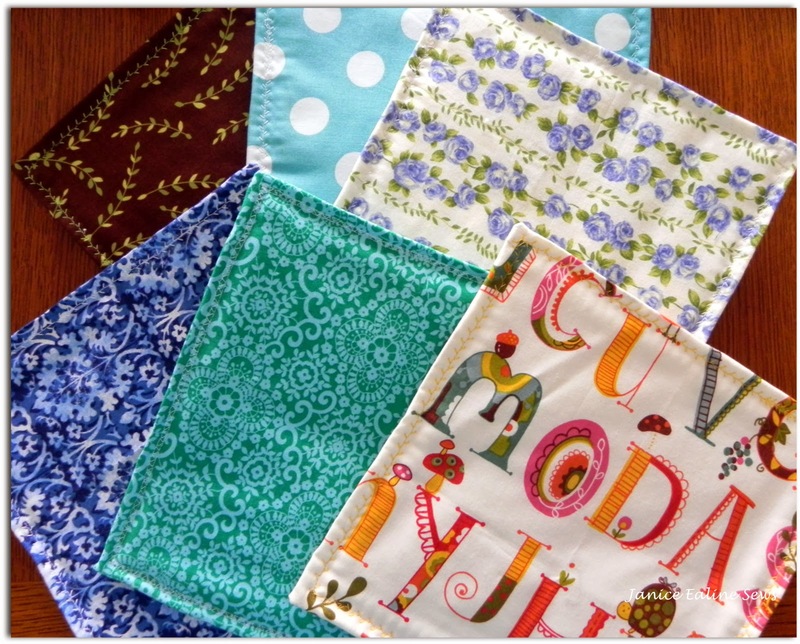 I love using up scraps, although my scrap bag never seems to get smaller. These eleven sets are the first installments of my 2014 Christmas Project. Bob asked me how many I was going to make, and I told him that I honestly didn't know! A couple more shots showing the variety of backing/binding fabrics I used. Everything for these was from my scrap or stash piles. I'm pretty sure they'll be used. I did the same thing last year, and they were much appreciated. What fun.....and so useful and pretty! They look great. I have a lot of fabric and scrap binding that I needed to find a use for. I am now making crochet rag rugs out of it. I am real happy with the way they turned out. The best part is the girls in my quilt group are saving they left over binding for me. It saves a lot on buying fabric.